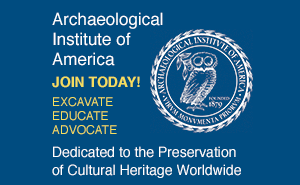 As the clean-up at the World Trade Center neared completion last month, Heritage Preservation, a nonprofit organization that monitors the protection and preservation of the United States' cultural heritage, completed the first comprehensive study of the cultural loss as a result of 9/11. Cataclysm and Challenge: Impact of September 11, 2001, on Our Nation's Cultural Heritage reports the losses of artifacts, historic archives, and works of art that had been stored at the World Trade Center and inventories the damage done to buildings and their contents in the vicinity. It also presents results of a survey of 57 cultural institutions in the area, such as the National Museum of the American Indian, the Museum of Jewish Heritage, and the South Street Seaport Museum, regarding the impact on their collections by events of 9/11 and the adequacy of their disaster response procedures and implementation. Among the major losses of a historic and archaeological nature was the Five Points archaeological collection, which, excavated in the early 1990s ("New York's Mythic Slum," March/April 1997), had been stored in the basement of Six World Trade, the building that was destroyed when the facade of Tower One fell into it. Only 18 of about one million unique artifacts documenting the lives of nineteenth-century New Yorkers survive. These 18 pieces, which reflect the Irish Catholic population of Five Points, had been loaned in 2000 to the curator of the archdiocese of New York for an exhibition, which never happened because of Cardinal O'Connor's death. In August 2001, historical archaeologist Rebecca Yamin of John Milner Associates, the company responsible for the analysis of the Five Points material, asked the curator to send the artifacts to the South Street Seaport Museum, because she felt they should be on display rather than put back in their boxes at the World Trade Center. More than these 18 artifacts survive from those excavations. Substantial funding supported the production of a six-volume report, which contains the results of exhaustive analyses and inventories, as well as representative photographs and drawings of the lost artifacts. Also, about 200 Five Points archival boxes were recovered from the rubble. Yamin has yet to look in the boxes because they have been undergoing decontamination. She knows they don't contain artifacts but hopes they will have some of the irreplaceable field and artifact photographs now feared missing. Other losses in Six World Trade include the contents of the U.S. Customs Service Regional Library and most of the archives of the Port Authority of New York and New Jersey. The glass atrium and eastern facade of the World Financial Center's Winter Garden were destroyed. In the landmark West Street building, the roof was destroyed by falling steel beams, and 14 floors were engulfed in fire; with them burned the archives and records of the Helen Keller International Foundation. Falling steel beams and the collapse of Seven World Trade destroyed the front and east side of the landmark Barclay-Vesey building on West Street. The small, 80-year-old Greek Orthodox Church of St. Nicholas was completely crushed. Trinity Church (left), built in 1846, suffered less devastation, though its windows were shattered, gravestones were damaged, and its organ, in use when the planes struck the towers, suffered from dust and debris collected in the pipes. Historic Federal Hall--standing on the site of the nation's first Capitol building and used as a customs house and U.S. Subtreasury--will need major work to repair its foundation and a crack (below, right) that widened considerably with the vibrations brought on by the attack. The Greek Revival building was completed in 1842, before structures were built to sway with quakes; its rigid marble and granite structure is more vulnerable to cracking. While the preliminary report is saddening, to say the least, it includes some positive news. Under the rubble, crews discovered boxes of artifacts from the African Burial Ground, a collection originally thought to have been destroyed. Found beneath Tower One were portions of the Port Authority of New York and New Jersey's historical pictorial archive, which documents the last 80 years of the metropolitan transportation system. A water-soaked 1905 edition of Helen Keller's autobiography was also recovered. "Beyond the Trade Center area, damage to cultural property in Lower Manhattan proved to be much less than originally feared," the study reports. Many buildings just required extensive cleaning. Less than 100 yards from the Trade Center, St. Paul's Chapel, the oldest public building in continual use in the city, was left standing and in good condition beneath the debris. Other historic landmarks to escape harm were Fraunces Tavern, where Washington bid farewell to his officers in 1783; Castle Clinton, an 1807 fort built to protect New York during the Napoleonic wars; and the old U.S. Custom House, which houses the National Museum of the American Indian. Despite other damage suffered, Trinity Church's archives survived untouched. Of the cultural losses, the greatest for archaeologists was that of the Five Points collection, which in any other context would be heartbreaking. But, as Yamin says, "It's hard to get emotional about the artifacts; they're just not significant compared to the loss of human life." 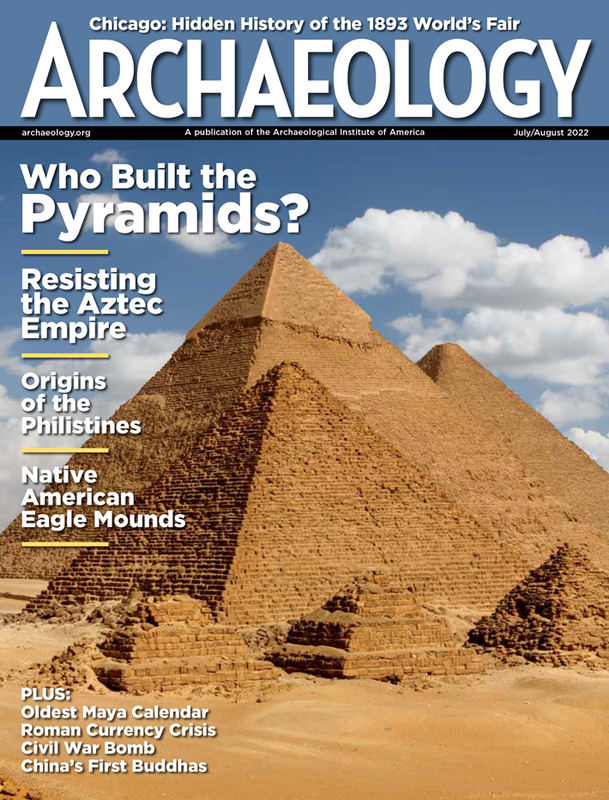 Colleen P. Popson is an associate editor of ARCHAEOLOGY.